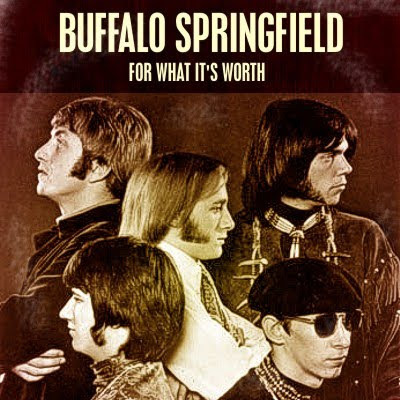 Today I thought I would share this wonderful song by Buffalo Springfield – “For What It’s Worth”. The song was released in January 1967 and got to number 7 in the US charts. It was written by Stephen Stills (in the centre of the photograph below) who also sings lead vocals on the song. You may also notice in the video that Neil Young was in the group too, on guitar (he is on the right of the photograph). The following year, Stills would become part of possibly the World’s first “supergroup” – Crosby, Stills and Nash; which was formed when he, David Crosby (from The Byrds) and Graham Nash (from The Hollies) got together to form the group Crosby, Stills and Nash. A few months later, Neil Young joined them to form Crosby, Stills, Nash and Young. This song is actually the only Buffalo Springfield song which I know; it is a great song addressing the unrest and uncertainty of the civil unrest and escalating Vietnam war in the late 1960s. Here is a video of the song. Enjoy! 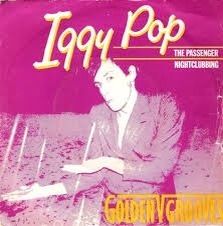 Today I thought I would share this song “The Passenger” by Iggy Pop (real name James Newell Osterberg). The song was released in 1977 and is on Pop’s 2nd solo album “Lust For Life”, which he recorded in collaboration with David Bowie. In fact, Bowie also sings backup harmonies on “The Passenger”. The song was released as the B-side of “Success”, the only single to come from “Lust For Life”, but because “The Passenger” has featured in numerous movies and advertisements it is probably one of Pop’s best known songs. 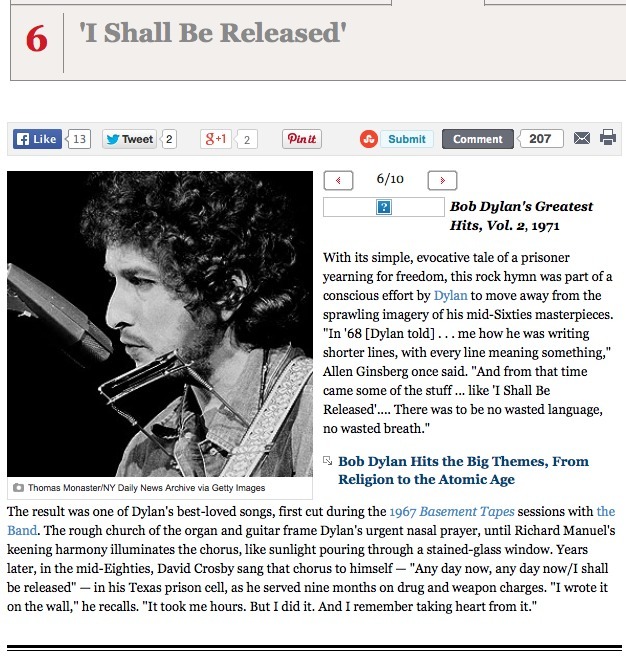 At number 6 in Rolling Stone Magazine’s list of the 10 best Bob Dylan songs is “I Shall Be Released”. This song was written in 1967 during the sessions with The Band which were eventually released in 1975 as “The Basement Tapes”. In fact, The Band released a version of the song in 1968 on their album “Music from Big Pink”, but Dylan’s first release of the song was on his 1971 album “Bob Dylan’s Greatest Hits Volume II”, which was one of the first Bob Dylan albums that I ever bought. Dylan recorded a few different versions of the song, in 1967 he recorded a version which eventually officially surfaced in 1991 on his “Bootleg Series Volumes 1-3”. He then recorded a different version of the song in 1971. In the 1971-released version of the song, Dylan is accompanied on harmonies by folk singer Happy Traum, and the song is typical of the “anthemic” songs which Dylan was writing in the late 1960s and early 1970s, which include “Forever Young” and “Knocking on Heaven’s Door”. There are some interesting quotes in caption from Rolling Stone Magazine, including how this song helped David Crosby sustain himself during his time in jail, and how Allen Ginsberg said that Dylan told him in 1968 that he had decided to write songs with shorter lines. As with nearly all Bob Dylan songs, the “original” version of this song (as it appeared in 1971) cannot be found on YouTube, but I have managed to find this interesting live version with Norah Jones duetting with Dylan. Enjoy! where is the ratio of the diameter of a circle to its circumference, and is the radius of the circle. But, how would we go about proving this well known formula? To do so, we can use something called integration, which is a branch of calculus. 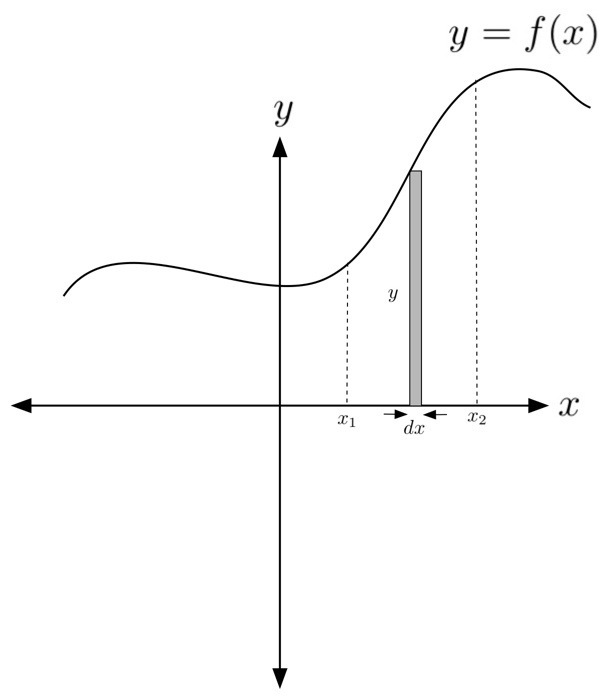 where is the function (the curve), and is an infinitesimally small width. Effectively, what we are doing is summing a series of rectangles of area from the lower limit to the upper limit . Therefore, to find the area of the circle, all we need to do is integrate between , and then multiply the answer by 4 (as we have only found the area of quarter of the circle). To find the area of a circle, in principle all we need to do is sum the rectangles from to between the x-axis and the circle, then multiply the answer by 4. This is not an integral which we can do, so we appear to be stuck! Luckily for us, there is a way around this problem. Rather than using x-y co-ordinates (more correctly known as Cartesian co-ordinates), we can change the co-ordinate system to something called polar co-ordinates, and when we do this we get an integral that we can do. To see how to go from Cartesian to polar co-ordinates, consider the figure below. 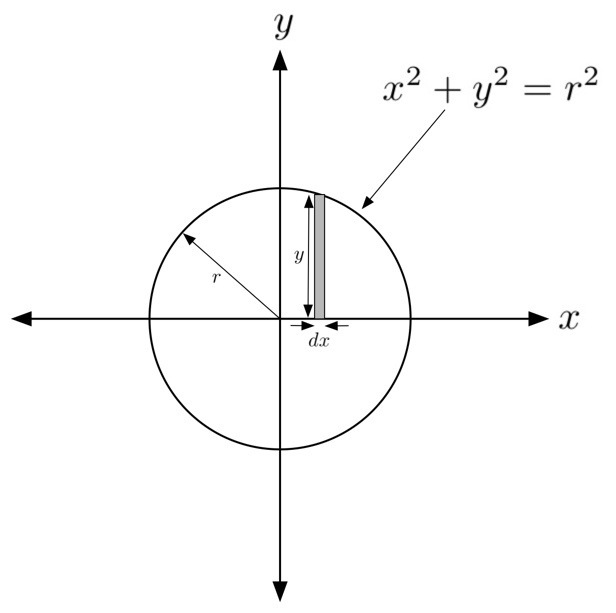 We write the coordinates in terms of two new variables , where is the radius of the circle and is the angle between the line from the centre of the circle to the point and the x-axis. When we do this, we can write that and . Then, to determine the area of the quadrant were are positive, we can instead integrate using . To see how we do this, consider the figure below. 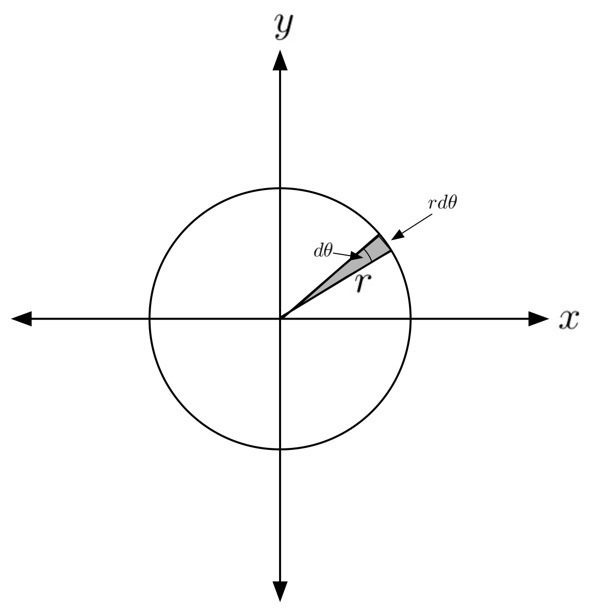 One of the reasons the method of using polar coordinates is easier is that we now have only one variable, , as the radius is a constant. When we were using as our variables, moving along the circle involved both variables changing, but with polar coordinates only one variable changes, . Instead of finding the area of a rectangle and summing those, we instead consider a slice of the circle, where the angle in the slice is , an infinitesimally small angle, and the radius of each slice is . This is shown by the shaded region in the figure above. We then sum these slices between an angle of and . But, when using calculus, we do not use degrees, but rather we have to use radians, which as I explained in this blog, are a more natural unit for measuring an angle. As becomes infinitesimally small, the slice becomes a triangle, and the area of a triangle is given by . The height is, of course, just the radius , but what about the base? The base is the length of the arc, which you will recall from the definition of a radian is just . just as the famous formula states! one of the comments stated that I could have derived the same formula using polar coordinates. 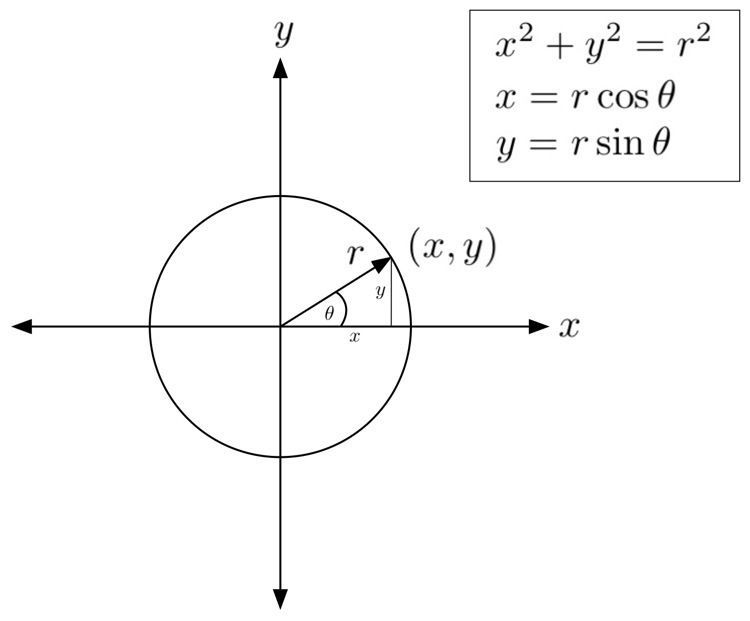 Now that I have introduced polar coordinates, I will in a future blog re-derive the formula using them. 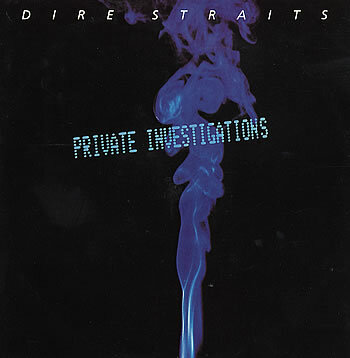 Today I thought I would share this song by the British band Dire Straits, “Private Investigations”. The song was released as a single in the summer of 1982, and got to number 2 in the Dinsunited Kingdom singles charts. The song is from Dire Straits’ 4th album, “Love Over Gold”, and was written by lead guitarist and lead singer Mark Knopfler. I first came across Mark Knopfler’s name when Bob Dylan used him on lead guitar for his 1979 album “Slow Train Coming”, which he recorded just after Dire Straits had released their first single “Sultans of Swing”, a song which illustrates wonderfully Knopfler’s superb guitar playing. Dylan picked up on this, even though the song had not been a hit in the US, and I think it is fair to say that Knopfler is now recognised as one of the great rock guitarists. As you can see from the lyrics below, there are not many, although the song itself stretched to nearly 6 minutes in the single version, and nearly 7 minutes in the album version. The song features Knopfler playing classic guitar, and is more instrumental in nature than most of their single releases. The song has a moodiness and melancholy feel which does not lend itself naturally to being a hit single, but by 1982 Dire Straits were one of the biggest bands in the Disunited Kingdom. Here is the official version from YouTube. Enjoy! Which is your favourite Dire Straits song? I thought it was about time I gave another update on currently the most important story in astrophysics – the BICEP2 team’s possible detection of B-mode polarisation in the cosmic microwave background. I have previously blogged about this story, for example here, here and here. But, just to quickly recap, in March the BICEP2 team announced that they had detected the B-mode polarisation in the cosmic microwave background (CMB), and argued that it was evidence of gravitational waves and cosmological inflation in the very early Universe. Since then, controversy has been the order of the day as other astrophysicists and cosmologists have argued that the BICEP2 detection was not due to the CMB at all, but rather to emission from dust in our own Milky Way galaxy. 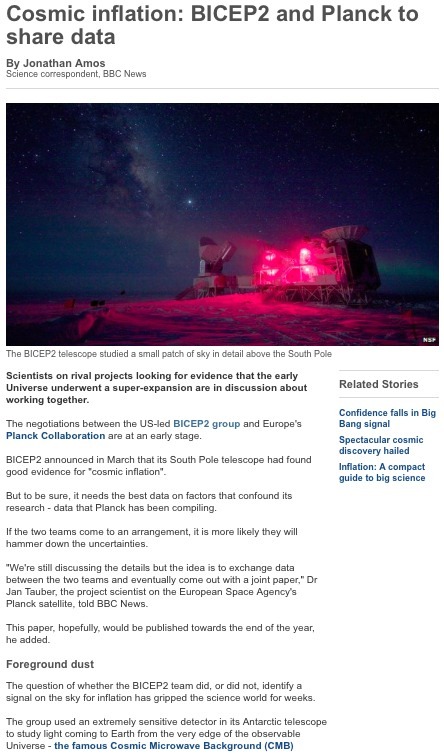 BICEP2 on their own do not have sufficient data to rule out this possibility, something they concede in their published paper. However, it would seem that the European satellite Planck do, as it has not only observed the whole sky (including the part of the sky observed by BICEP2), but has done so at five different frequencies, compared to BICEP2’s single frequency measurement. In the last few days, it has been announced that the BICEP2 team will formally collaborate and share data with the Planck team, which I think is good news in sorting out the controversy over the BICEP2 detection sooner rather than later. The BICEP2 team and Planck team have announced that they will collaborate and share data to help clear up the controversy over the source of the B-mode polarisation detected by BICEP2. Although the Planck measurements of the polarisation of dust in our Milky Way will presumably become public at some point (as is normal with publicly funded science projects), this would not be for many more months. By formally collaborating with Planck, the BICEP2 team will get not only earlier access to the Planck data, but just as importantly will get the experts in the Planck collaboration working with them to properly interpret the Planck measurements. It is hoped by all in the astrophysics and cosmology communities that this collaboration between BICEP2 and Planck will lead to the issue of the origin of the detected B-mode polarisation being sorted out in a timely fashion, possibly even by the end of this year. 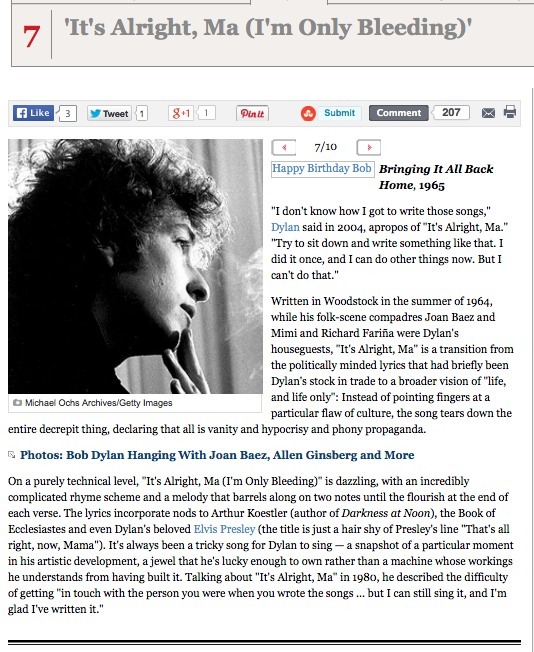 At number 7 in Rolling Stone Magazine’s 10 best Bob Dylan songs is “It’s Alright Ma, (I’m Only Bleeding)” which, like the song at number 8 (“Mr. Tambourine Man”), is from his 1965 album “Bringing It All Back Home”. The song was written in the summer of 1964, and Dylan performed it live in late 1964, several months before recording it in the studio, which he did in January 1965. It is the penultimate track on “Bringing It All Back Home”, and is surely one of his darkest and most evocative songs. I find this song simply stunning. The rhyming is very complex, and the lyrics are both dark and profound. It always strikes me that Dylan was only 23 when he wrote this song. How can someone so young write such profound lyrics? It is beyond me, but all I do know is that it is one of the masterpieces of Dylan’s “poetic, surrealistic” period. One of the most memorable lines for me in the song is “But even the President of the United States / Sometimes must has to stand naked”, a reminder that we are all human, irrespective of our importance. Here is a live performance of this amazing song, made around the time of its release in the summer of 1965. Enjoy!